Roofing Charlotte: Why Install Metal Roofing? Are you thinking of installing a metal roof on your home? 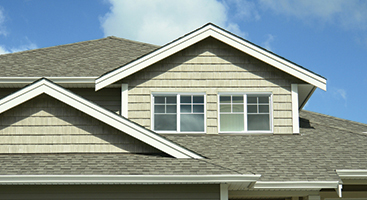 This is a popular roofing option that offers a slew of benefits. However, it is not for everyone. In this blog, we will go over the pros and cons of metal roofing so you can decide if it is the right choice for you. There are many reasons why metal roofing is advantageous. Metal roofing is one of the most durable and long-lasting roofing options. If your metal roof has been installed properly, it will last a minimum of 20 years, but it will often last much longer than that. There isn’t a lot that will cause severe damage to metal roofs, as they are fire, mildew, insect, and rot resistant. When you install a metal roof, you can anticipate it lasting for years to come. Metal is also a lightweight option when it comes to roofing materials. While tile weighs roughly 750 pounds per square (100 square feet), and a concrete roof weighs around 900 pounds per square, the majority of metal roofs will not weigh more than 150 pounds per square. This means that it is often possible to install metal roofing on top of existing roofing without needed to add more support or tear off existing roofing materials. In fact, in some cases, you may even be able to reduce roof support! If you need to install a roof with haste, you can’t go wrong with metal roofing. If you hire an experienced roofing contractor from Ace Solar and Roofing, we will be able to get a metal roof installed quite quickly. This is particularly advantageous if there is a storm imminently approaching, or if you have suffered severe damage due to a recent storm. Metal roofing is completely noncombustible, making it the most fire-resistant roofing material. However, exactly how fireproof the roof is as a whole is also dependent on the materials used under the surface. 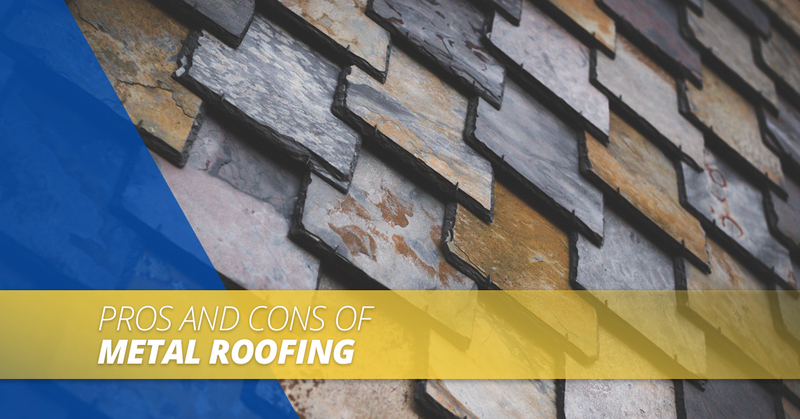 Most metal roofs are installed on a material such as wood shingles, which are obviously far less fire-resistant. Because metal reflects the sun, it reduces the impact of the radiant heat on the house. This means that you don’t need as much air conditioning to cool your home during the summer. A metal roof is an energy-efficient option for this reason. You don’t have to worry about snow piling up and causing leaks in your ceiling when you have a metal roofing. This is because metal roofing is naturally resistant to both snow and rain, allowing it to seamlessly leave the roof the moment it falls. Metal roofing offers many benefits, but there are also disadvantages that you may want to keep in mind when choosing your roofing material. The upfront cost of metal roofing is more expensive than many roofing materials. It is roughly $150 to $600 for each square, making it equivalent to most premium roofing materials. The important thing to keep in mind here is that while a metal roof may cost you more initially, you ultimately save more money in the long run, particularly if you plan on staying in your home for a long time. As stated above, metal roofs are very durable, and they also require extremely little maintenance. However, if you do plan on moving within the next few years, the cost may not be worth it in the end. Many people enjoy the sound of rain on a metal roof. However, not everyone feels the same way. During a storm, a metal roof will be much noisier than a slate or tile roof, and for some, this sound is annoying. If you want a metal roof but can’t stand the noise, you can control the noise to a point by creating structural barriers and installing sound proofing. Just like your car can become dented when it is hit with a rock, your metal roof can dent if it is hit by large hailstones. This is particularly true if you go with aluminum roofing, which is prone to denting. However, not all metals are created equal, so if you are concerned about denting, you can talk to your roofing contractor about types of metal roofing that do not dent. Additionally, while you probably won’t need to walk on your roof as it is highly unlikely that it will leak, if there is an occasion when you or someone else (such as a chimney sweep) need to go on the roof, some metal roofs cannot support that. It is possible that if your metal roof is painted, it may experience chipping, fading, scratching, or peeling. Additionally, when installing a metal roof, it is important that it is not dented or scratched during the process, and as stated above, walking on it can cause damage. Once you install your metal roof, you may need to occasionally hose it down to keep it clean. Metal expands when it is warm and contracts when it is cold. These days, the fastening systems included with metal roofs accommodate this variation. 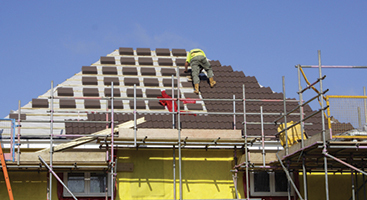 If this occurs on a particularly hot day, it may occur slight warping of your roof. If your metal roof is damaged, it is much more difficult to replace than other roofing materials. This is because they are installed in large panels instead of individual shingles. It may also be more difficult to match your roof if you decide to remodel your home in a decade or two. Some people are worried about installing a metal roof because they believe that metal attracts electricity. This isn’t actually the case, and there are many cases of lightning striking trees instead of metal roofs. If this is a concern for you, you can ground your metal roof with a lightning protection company. While metal roofs are extremely fire resistant, if a fire starts inside the home, they are not ideal. In the event of a very serious house fire, firefighters may need to cut through the roof, which is much more difficult when the roof is made of metal. Clearly, there are many advantages and some disadvantages to metal roofing, and what is best for your home will be up to you. 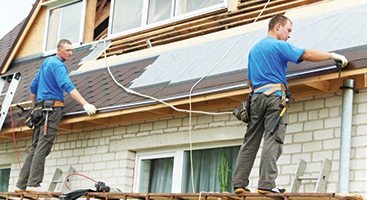 When you need a roofing company in Charlotte, contact Ace Solar and Roofing!